September's contest was SUCH a blast! It was so much fun seeing everyone's interpretation of our geometric design theme! Our amazing sponsor was General Finishes, and I know many of our participants can agree that their products are simply incredible! Congrats to our winner, Kara of Lilac Shack Furniture! Her wonderful use of this month's themed wowed all of the judges and as the winner, she gets a WHOLE CASE of GF products! Hooray! Please make sure you check out General Finishes and their very extensive line of paints, finishes, stains and floor products! You won't be sorry, I promise! 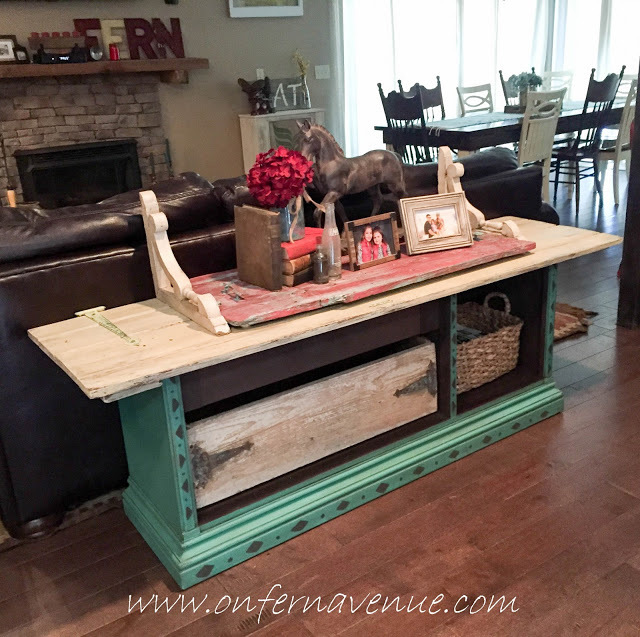 Lynn of Fern Avenue created this incredible sofa table with some of their incredible acrylic based paint and their famous Java Gel stain! 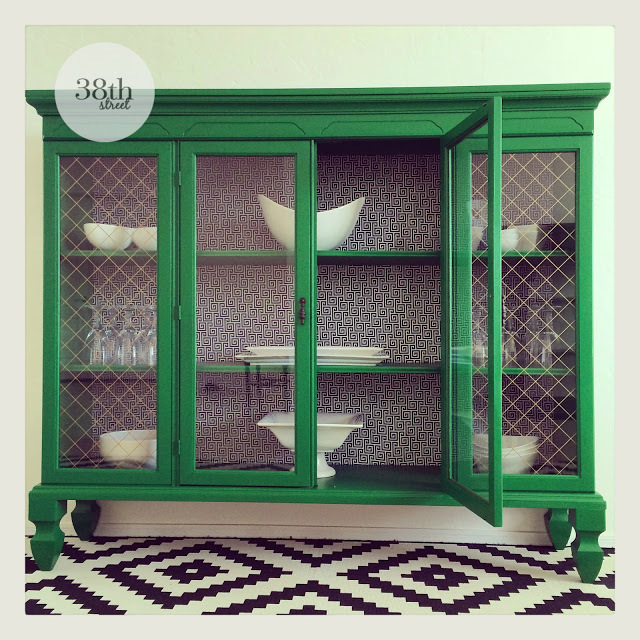 Carrie of Thirty Eighth Street Blog impressed all of us with her incredible cabinet redo. Make sure you check out the other hosts' blogs for their inspiration pieces and for their favorites from this contest! Also check out all of our entries for this month, here. Check back on Monday to see what our October Fab Furniture Flippin' Contest will entail! I can't wait! The Fab Furniture Flippin' Contest is open only to the entrants who have signed up through the group Facebook page. If you are an active, furniture flippin' blogger, and you'd like to participate in future contests, we'd love to have you! 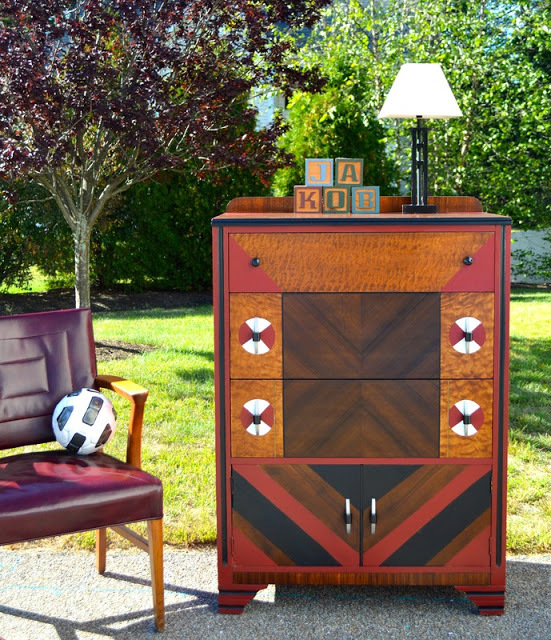 Please contact Evey or Stacy (info@fabfurnitureflippincontest.com) to find out how! What a great twist on an old piece! Congratulations Kara! Good Gracious, I was so surprised and thrilled! Thank you very much everyone! !